The church was built in the Gothic Perpendicular style although it has some earlier parts such as the Norman south doorway. 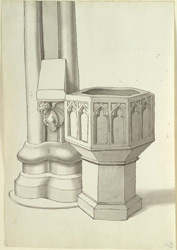 The font is large, octagonal and in the Perpendicular style. The sides are decorated with two blank arches.